Alcohol is one of the most common beverages that one will find at any social gathering. In fact, it will be rare not to see alcohol at these gatherings, unless if there are religious beliefs which prohibit the drinking or presence of alcohol. It has been rated the third most drank beverage in the world after water and tea. Generally, alcohol is spilt into three groups which include spirits, wine and beer. The latter two contain less alcohol than spirits. There are those of us who are casual drinkers and those who are excessive consumers of alcohol. These, in most cases end up being addicts to alcohol. Alcohol is one of those beverages that can be classified as to be having "empty calories". This is apparent, as it does not provide any nutritional value to those who consume it. Just calories! One of the tricks to healthy eating is to eat nutrient dense foods. These are foods that are nutritionally loaded as compared to their caloric content. This is why things such as fruits and vegetables are always at the top of the list for eating healthy. Because alcohol contains empty calories, it can lead to weight gain. Some alcoholic beverages actually contain calories that are equivalent to a full meal! Abdominal obesity, commonly known as beer belly is one of the consequences of over consumption of alcohol. So what happens to alcohol when you consume it? Once alcohol is in your body, it needs to be the first thing to be metabolized. This means that your body will make it top priority to break it down. One of the main reasons for this is that alcohol cannot be stored anywhere in your body, unlike protein, fat and carbohydrates. So if your body had been working on breaking down some carbs, when alcohol is detected in your system, it will stop with the carbs and attend to the alcohol until it has been metabolized. Your liver is the main site of alcohol metabolism, that's where detoxification occurs. Hence, too much consumption of alcohol can weigh heavily on it leading to diseases such as liver cirrhosis or even liver cancer. When alcohol reaches your liver, it is converted into a substance known as acetate. Acetate prevents or slows down the burning of fat in your body. Which is why weight gain is possible. Some of the alcohol is stored as fat whilst the rest is stored as acetate. Dehydration is yet another common problem that is associated with consuming alcohol, as well as intoxication. Alcohol also dries the mouth leading to bad breath or halitosis. It is for this reason that it is considered amongst beverages and foods that cause bad breath. Other health effects associated with drinking alcohol include being at risk of several types of cancers which include mouth cancer, oesophagus cancer and bowl cancer just to name a few. One will also be prone to being deficient in important nutrients, minerals and vitamins which include Vitamins A and B12, Calcium and Folate. We will now take a look at some alcohol nutrition facts. The percent daily values (DV) are based on a 2,000 calorie diet. 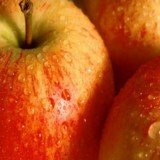 Your values may be higher or lower depending on your daily calorie needs. These are alcohol nutrition facts for distilled, vodka, 80 proof (40% ABV). They show that it contains 97 calories, 14g alcohol, 28g water and no caffeine. 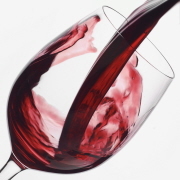 Red table wine nutrition facts reveal that it's moderate in terms of its calories. Unlike most alcoholic beverages, it also contains a bit of nutrition. It's a source of Carbohydrates, Calcium, Iron, Vitamin K, Riboflavin, Niacin, Vitamin B6, Magnesium, Phosphorus, Potassium, Zinc and Copper. It is also a good source of Manganese, providing you with 10% of your recommended daily value of the trace mineral. It contains 15.6g or alcohol. Hard alcohol, in many cases, provides a shot in the arm in terms of energy. And this is a quick one! This mainly comes from the calories. Tilt on the other hand, is a fruit -flavored beverage that is high in alcohol. Previously, it used to contain both alcohol and caffeine. However, this has since been changed to just alcohol and fruit flavor. One of the main reasons for this change is that the FDA (Food and Drug Administration) found that the combination of caffeine and alcohol can bring about adverse health effects, especially to your nervous and cardiovascular systems. Unlike hard alcohol, tilt alcohol nutrition facts reveal that it contains 10-12% alcohol. Calories in tilt alcohol range from 347 to 427. Of these calories, 46-47% of them come from alcohol. Because tilt contains a higher amount of alcohol you will most likely have more acetate in your bloodstream. 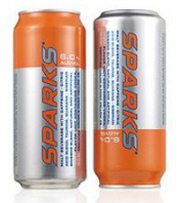 Sparks regular nutrition facts show that it is moderate in terms of its calories. There are a few other flavors which include Blackberry, Lemonade and Ice-Tea. They all contain 8% alcohol. 25ml of Jack Daniel's alcohol nutrition facts show that it is low in calories, as compared to most alcoholic beverages. Obviously, the choice is yours. But it's important to make a good one. Moderation is key when it comes to alcohol, or not drinking at all completely!